We love making brides look and feel like the best version of themselves on their wedding day! 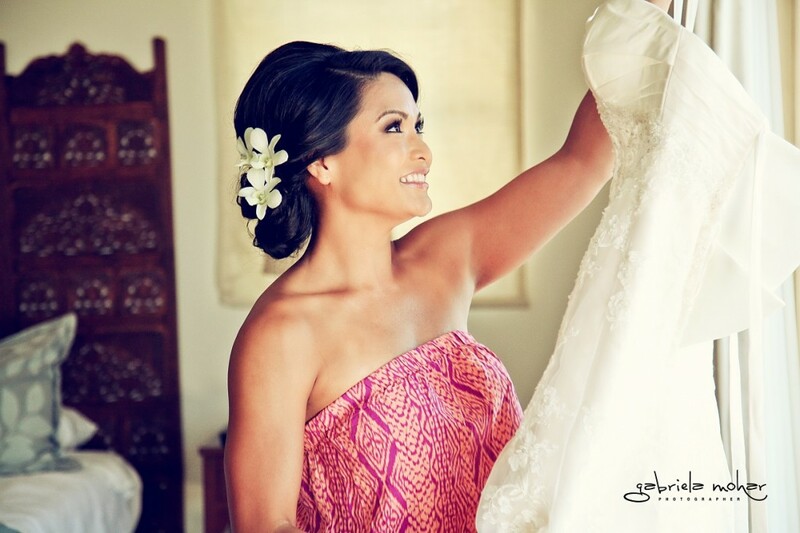 Beautiful bride Carol wanted to stay true to her Hawaiian roots for her Cabo destination wedding, and we could not have been more thrilled to style this exotic beauty! 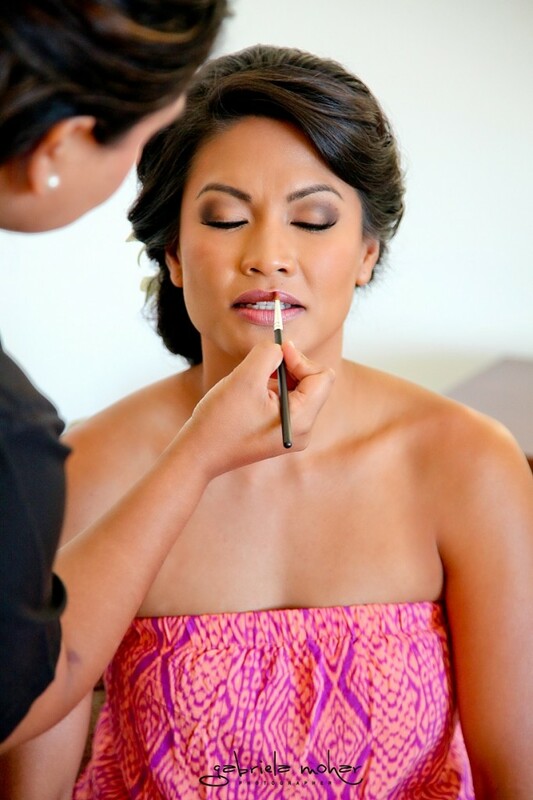 For Carol’s bridal make-up, our stylists kept the focus on her gorgeous dark eyes. We used shades of violet and light pink eyeshadow to create the popular hooded effect, and finished her eyes with perfect thick lashes. A pale pink lip completed Carol’s dramatic-yet-elegant bridal style. Carol decided on a smooth, classic up-do for her wedding-day look. We incorporated several beautiful dendrobium orchids into her twisted chignon as a nod to her Hawaiian background. Floral hair details will be a major trend for the upcoming wedding season, and we think Carol’s island look in Cabo was simply stunning! 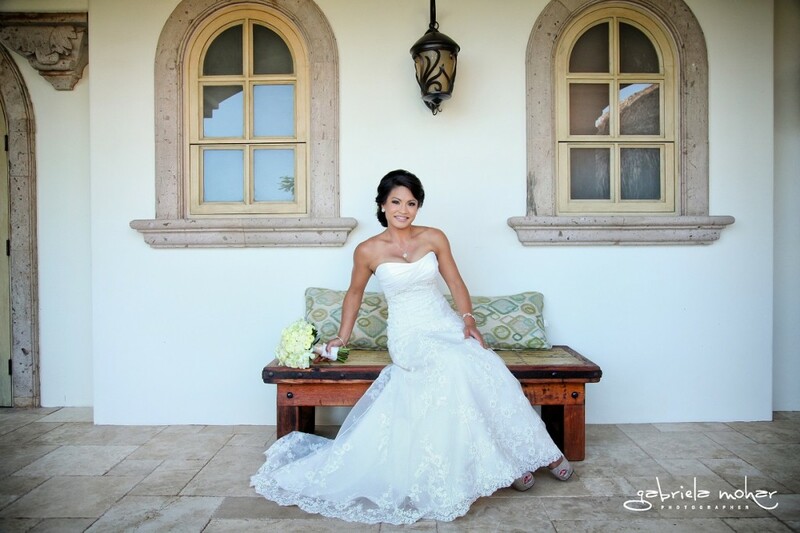 This entry was posted in Cabo Bridal Hair and Makeup and tagged bridal orchid hair, Cabo bridal hair, Cabo bridal makeup, Cabo bridal salon, Cabo bridesmaid hair, Cabo bridesmaid makeup, Cabo wedding hair, Cabo wedding makeup, Cabo wedding salon, destination wedding makeup, exotic wedding makeup, fresh flowers wedding hair, Gabriela Mohar photography, Hawaiian wedding look, Linens Things and More Cabo, Mexico bridal hair, Mexico bridal makeup, Suzanne Morel, Villa de los Faros Cabo, wedding hair orchid.